A bill expediting the removal of abandoned vehicles was advanced by lawmakers Jan. 22. 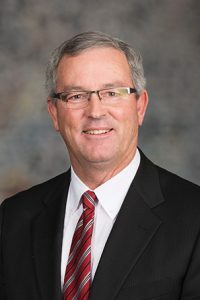 Under LB275, introduced by Venango Sen. Dan Hughes, a private property owner could have an abandoned vehicle removed from his or her property if the vehicle has been left for at least seven days. Hughes said owners of apartment complexes must regularly deal with vehicles that are left behind after tenants move out. The bill would allow these owners to remedy such a situation, he said. “Property owners ask to remove a vehicle only to be told by law enforcement that they can only remove the vehicle if it was left on public property,” he said. The property owner could contact law enforcement, who then would contact a towing company to have the vehicle removed. Under a Transportation and Telecommunications Committee amendment, adopted 31-0, the private towing company would be responsible for notifying local law enforcement of a removal within 24 hours, if initiated by a private property owner. The bill originally placed the responsibility upon the property owner. Norfolk Sen. Jim Scheer supported the bill, saying he had difficulty removing an abandoned vehicle from a lot he owns. He said property owners spend significant time and money to remove abandoned vehicles under current law. Following the adoption of a technical amendment, senators advanced the bill to select file on a 31-0 vote.